Because you can't beat a good food-and-drink combo. Pickles and beer are a winning mix. If you've ever paired meat, cheese and fermented vegetables with a pint or several — and who hasn't? —then you clearly think so too, even if you don't realise it. Ploughman, Alderley's latest cafe-bar hybrid, certainly does; indeed, that's what the new addition to Samford Road is all about. 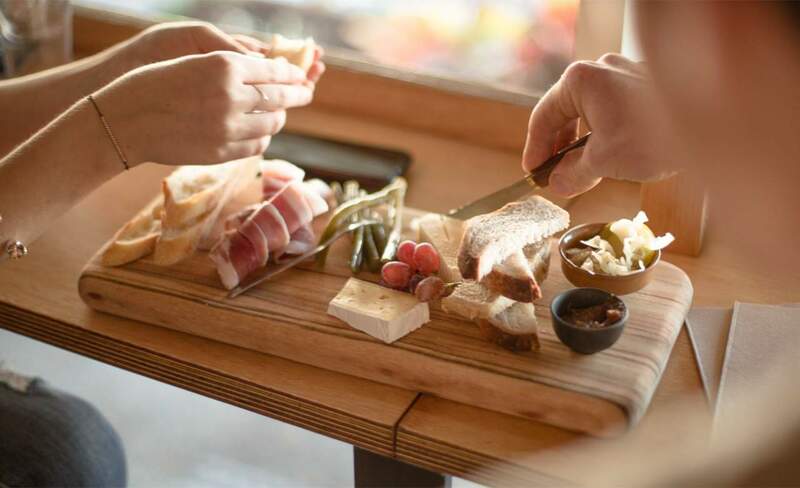 Because you can't beat a good food-and-drink combo, you'll find platters overflowing with all the usual charcuterie essentials and house-made pickles, plus taps flowing with a rotating range of local, national and international brews. Yum. If it sounds rather straightforward, that's because it is — but sometimes the best things in life are the simplest. Plus, it's a nifty idea for a bar that's housed within a former 19th century general store and saddler, has been overhauled by an electrician and architect, and also serves grilled cheese toasties and small-batch spirits. And yes, like the name suggests, ploughman sandwiches stacked with leg ham, cheese, bread, mustard and pickles are also on the menu.